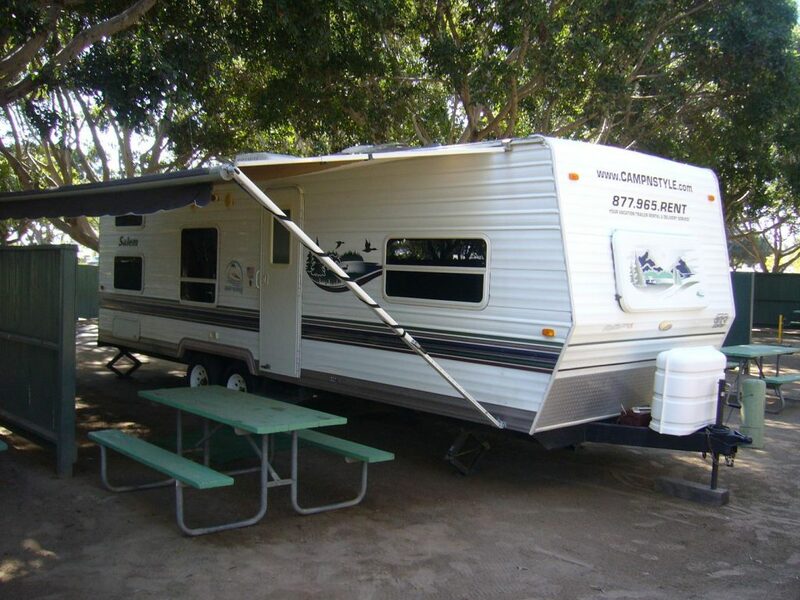 Great for families, accommodating 6 people comfortably. The 26′ Salem trailers come standard with a slide-out for extra space in the living area, separate bedroom in front with a Queen bed, bunk beds in the back, and a couch and dinette which also fold out to beds. There is also a skylight in the bathroom that adds more light and extra head room for the shower.